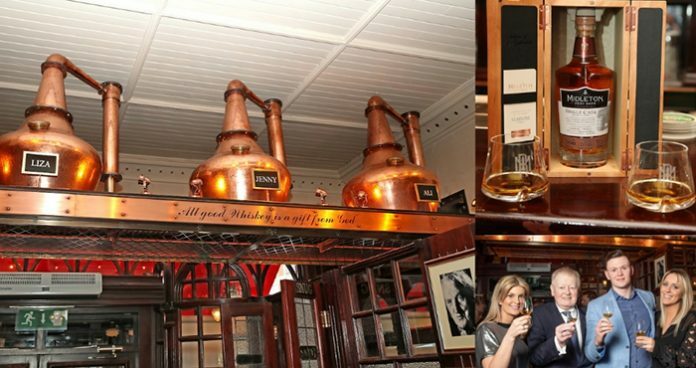 The Searsons, well-known Dublin pub, has just announced the latest addition to its collection of Midleton Very Rare whiskeys. The historic pub boosts a dedicated whiskey bar offering an extensive range, including the collection of Midleton Very Rare that now features a specially selected single cask. We’re talking of a 28 year old whiskey matured in a first fill bourbon barrel, which was distilled in 1990 in the Midleton Distillery in Co. Cork. Only a select number of casks are deemed of sufficient excellence and rarity to bear the Midleton Very Rare name, making this the pinnacle of Irish whiskey – the Searsons pays this way a full homage to Midleton Irish Whiskey with this newest single cask.